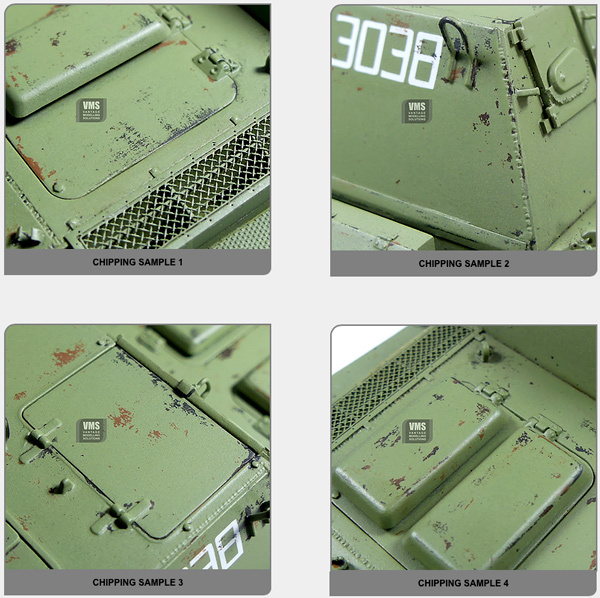 Chip & Nick is one of kind intelligent paint created to help you create super realistic chipping effects on your model with minimum skill. Paint works via VMS “reversed chipping” technique. One simply needs to apply the paint over the model and then remove portions of it with so that only chipping effects remain. 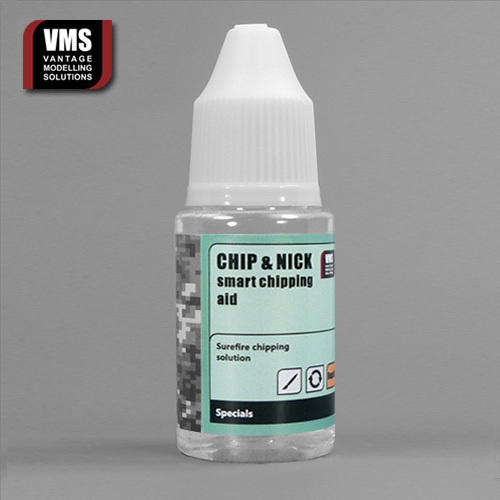 Chip & Nick doesn't add thickness to your weathering as hair spray and similar fluids do, paint optically melts with the base for an outstanding result. Paint is reversible - there is no danger of bad chipping as you can always remove excessive paint. Chip & Nick allows you to create super fine chips that were so far reserved to fine brush technique in fraction of the time needed and completely hassle free. Paint allows for multicolour chipping effects whereas hair spray techniques and “washable” paints allow for just one colour due to their lack of resistance to water. Model must be varnished with VMS Varnish HD or equivalent prior use! Please refer to product FAQ for details!